Snuggle Bugs & Company is a unique children’s consignment event that takes place each year in the Spring and Fall. 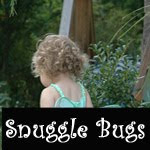 Snuggle Bugs offers great opportunities to both consignors and shoppers. Their focus is creating an experience that allows shoppers to find fabulous deals on top quality, brand name merchandise for their family. At Snuggle Bugs & Company, you’ll find great bargains on children’s clothing (Newborn to Youth Size 12), toys, games, baby equipment and accessories, children’s and nursery furniture, sports equipment, new mom essentials, and more! New consignors are welcome to participate in this sales event. Please visit their website to get more information on shopping at the sale or registering as a consignor. Snuggle Bugs will take place March 13th – 20th in the former Value City Store at 292 Curry Hollow Road.